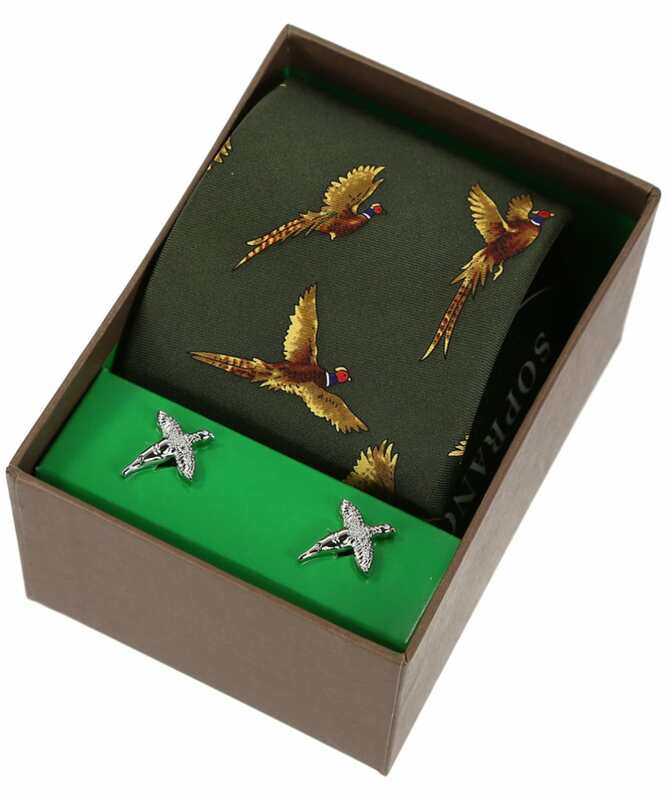 The Soprano Pheasant Tie and Cufflink Gift Set would make an incredible gift for any keen country outdoorsman; the tie is finished in a deep rural green and adorned with a wonderful flying pheasant's design which is displayed in rich reds and browns. 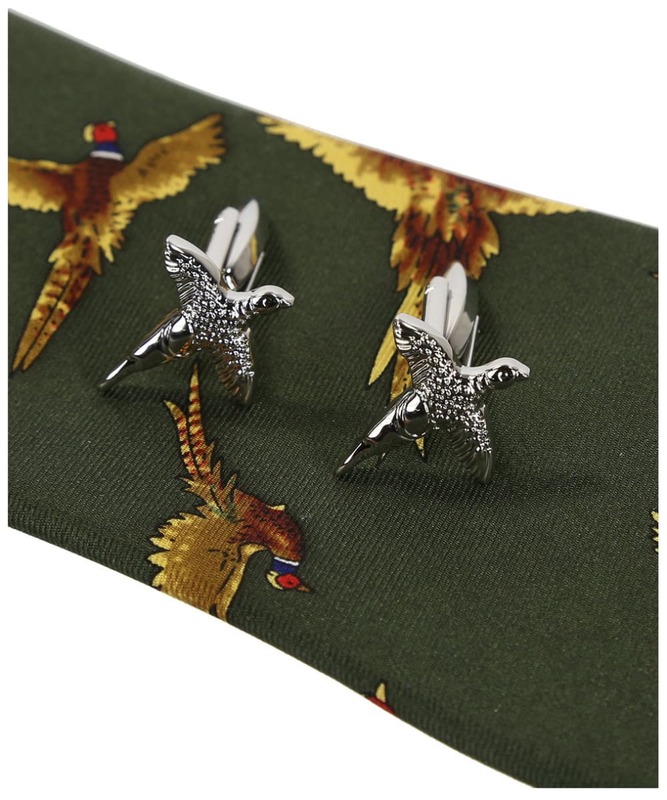 The set comes complete with matching pheasant cufflinks in a stunning in flight pose. 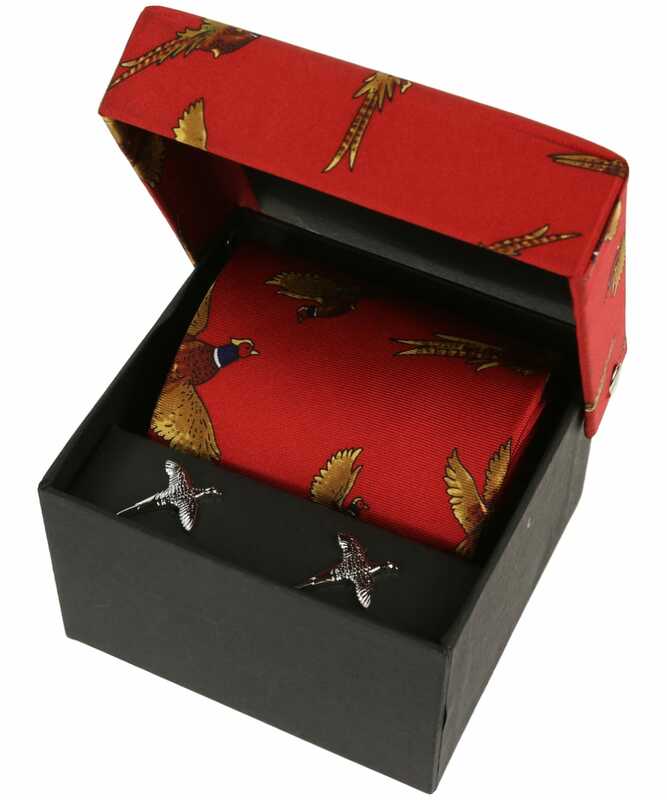 Both the tie and the cufflinks come in a wonderful gift box which comes beautifully presented with the ornate pheasant design over the lid. 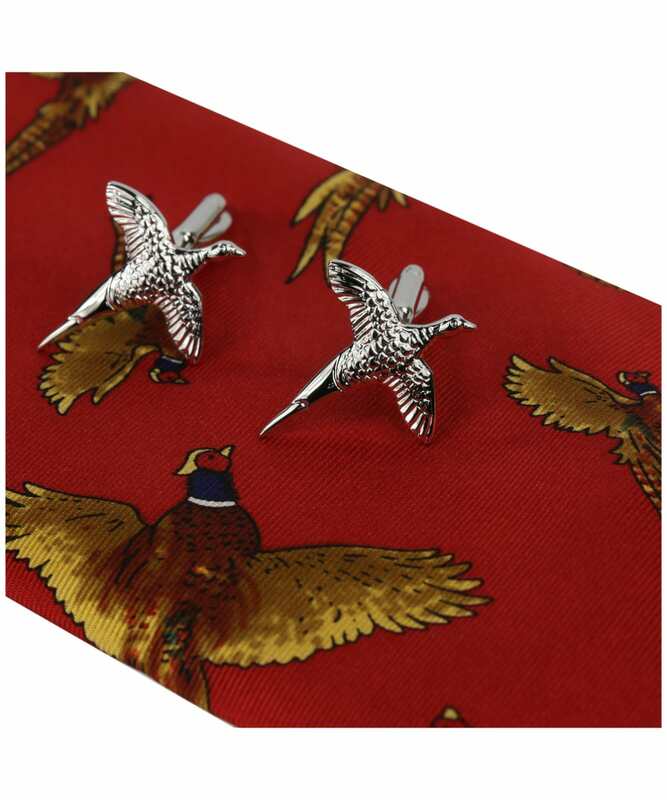 This Soprano Pheasant Gift Set would make a great present for country and city dwellers alike.